If you want your car to take care of you, you also need to look after it. Keeping a car can bring you peace, but it can also become a liability if you do not maintain it properly. Consider the following points to increase your car’s life. If you ignore blinking check engine light, it could result in severe engine damage and expensive repairs. Attend it immediately and you might be able to save your engine, otherwise it would become useless. Fluids are vital components of your car. The oil degrades, gets burned and seeps off, so you need to change the oil after a certain interval. Checking fluid levels and filters regularly ensures that your vehicle runs fluently with solid engine to serve you for years. Regularly checking tyre’s health, air pressure and tread depth is very important. Not only underinflated tyres worsen the mileage and performance of the vehicle as extra friction comes into play, the tyres themselves can wear out quickly and require replacements. Braking can also reduce them significantly. On the other hand, overinflated tyres leave no room for air inside to expand, so increase the risk of tyre burst. 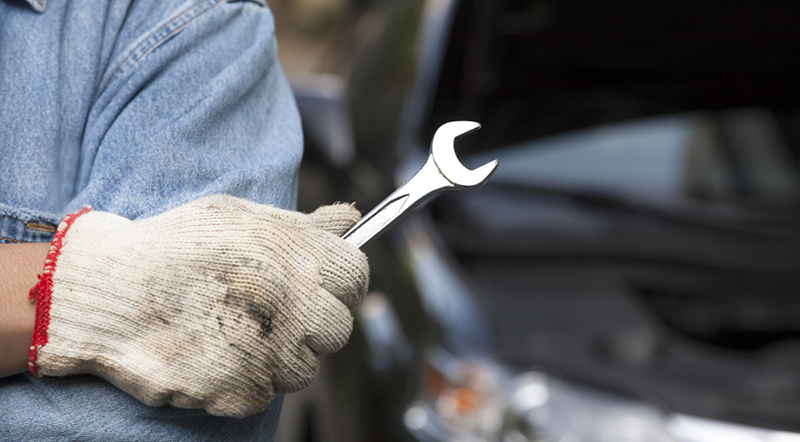 Your car’s parts and components get damaged and wear out with time, so they need repairs and replacements regularly through routine services. The cars which are serviced regularly perform optimally and save you from more costly repairs in the future and increase the car’s life. A car covered with a layer of dust or dirt can corrode quickly. If you allow your car to go too long without a wash, the damaging chemicals and dirt build up on its surface, thus increases the risk of rust. A good quality wax coating could defend the vehicle against corrosion and extend the car’s life. Sometimes, it is hard to avoid severe driving conditions because of heavy loads, rough roads, heavy traffic or extreme weather. However, every motorist should drive smart, observe the speed limit, avoid aggressive driving and keep the vehicle tuned. This improves fuel economy, reduces risk of crashing and extends the car’s life. If you force the car to accelerate in a wrong gear, it puts a lot of strain on the engine. If you put your car in too high gear, the bottom end of the engine with crank and con rods, endures the strain. On the other hand, too low gear will work too hard on the upper part of the engine containing valves, cams and lifters. The maximum allowable engine speed is indicated by the red line. At high rpm the engine is under enormous pressure and the components are working at their maximum, so the slightest of imbalance could cause big damages. Driving at high rpm may decrease engine’s life. The older engines are more prone to this occurrence.